Ladbrokes is innovative and modern! Here at Aussiebet our aim is to provide you with all the relevant information you need to help choose the bookie that is best for you. 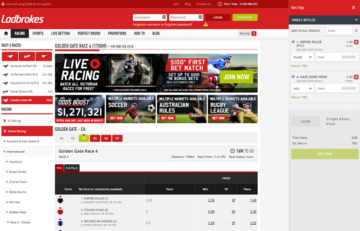 This time we put Ladbrokes Australia under the spotlight in our in-depth and impartial review of their online betting suite. Since entering the Australian market in late 2013, Ladbrokes Australia have established themselves as big players down under, and further growth looks likely. It is a well established and respected brand in Europe too, so if you are considering opening an account you should definitely read our Ladbrokes Australia review below. Ladbrokes Card allows customers instant access to winnings. For some events, Ladbrokes Australia do not have the best odds on offer. Ladbrokes are known all around the world as a giant of the gambling industry. Established all the way back in 1886, the name Ladbrokes was adopted when their headquarters were relocated to London in 1902. Ladbrokes made its mark in the 1960s when opening a string of betting shops in the UK, and now they are one of the most recognisable bookies in Europe. Ladbrokes Australia was launched with a Norfolk Islands licence back in 2013 when Ladbrokes Coral Group bought Bookmaker.com.au. In 2014 they added BetStars to their portfolio, so Ladbrokes is now one of the biggest players in the rapidly growing Australian online gambling industry. Since late 2016 they have been licensed in the Northern Territory, and the current Ladbrokes Australia CEO is Jason Scott. The sign up bonus bet on offer from Ladbrokes Australia measures up well against their rivals. If you sign up for an account with Ladbrokes Australia they will give you a bonus bet matching your first bet up to a maximum of $200. Their sign-up offer is usually only for $100, but if you use the promo code AUS200 you can get up to $200. Offer is not available to customers in SA/NSW/VIC/WA. Check out our step by step guide on how to claim your Ladbrokes Australia sign up bonus below. Use this link to visit Ladbrokes Australia and open an account. Make sure to use the promo code AUS200. Make your opening deposit (minimum of $10). Place your first bet and whatever it is, Ladbrokes Australia will credit a bonus bet of the same value to your account instantly, up to a maximum value of $200. Your bonus bet can be used on racing or any other sporting event. Deposit must be turned over once before bonus bet winnings can be withdrawn. This offer is not available to customers in SA/NSW/VIC/WA. When it comes to creating innovative new ways to bet Ladbrokes Australia is at the cutting edge. One of their latest inventions is the ‘Perfect Round’, a brand new form of pool betting on sports. To win big, you need to pick ALL the winning teams from a set amount of matches in a pool. If a certain match is too close to call, you can select BOTH teams and your bet becomes a combi. Open a Ladbrokes Australia account by clicking here. The ‘Perfect Round’ page is easily found on the main menu bar at the top of the Ladbrokes Australia home page. Simply select who you think will win each match. Enter your stake and place your bet. To win, you must pick the winner of EVERY match. If you do win, you will receive a percentage of the total pool based on your initial stake. How Good Are Ladbrokes Australia Odds? For many punters, having the best odds available is a key factor when it comes to signing up with a betting company. Ladbrokes Australia are brilliant when it comes to literally anything else, but the odds on offer are not quite up to the same mark. They are not the worst odds out there, but they are not the best either. As an example, for the recent Premier League tie between Burnley and Man City we looked at the odds available from Ladbrokes Australia and another industry rival. The over round for Ladbrokes Australia was 104.3%, whereas their competitor’s over round was 102.9%. That is a difference of 1.4%, and it illustrates how Ladbrokes Australia’s odds can sometimes be less than generous. It is a similar story with horse racing, and part of the problem is that Ladbrokes Australia use the same odds as both BetStars and Bookmaker.com.au. They are all owned by the same parent company so that obviously has a knock on effect on competitiveness. Although odds may not be Ladbrokes Australia’s strongest point, they make up for this in other areas. Ladbrokes Australia is proud of its mobile apps and web app and you can access them through the vast majority of devices. Whether you use an iPhone or iPad, an Android device or even a Blackberry or Windows Phone, you can bet on the move with Ladbrokes Australia. For those who use iPhones or iPads you can download the Ladbrokes Australia App straight from the App store. IOS version 8.0 or later is required. 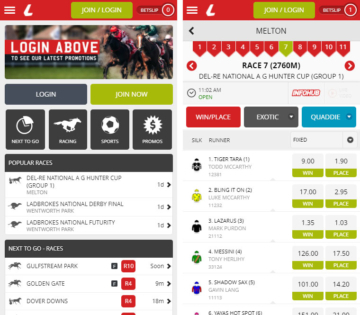 If you are an Android user you can download the App direct from the Ladbrokes Australia Site. The App will work on most new Android devices, but if it doesn’t you can just use the Web App. That is what those on other platforms can use too. You can bet on a vast amount of sports on the Ladbrokes Mobile App or Web App. These include horse racing, greyhounds, NRL, AFL, cricket, tennis, golf and a whole lot more. 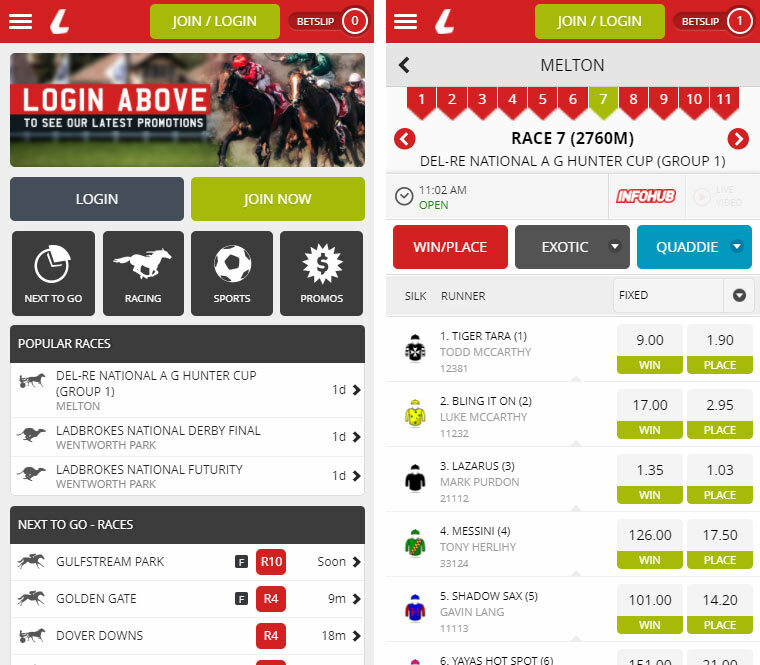 The App is easy to navigate, has a slick interface and odds refresh regularly. Overall, the Ladbrokes Mobile App comes highly recommended. The ‘Cash Out’ option is another excellent tool that punters can avail of when they bet with Ladbrokes Australia. Cash Out is available on sports and racing head to head and multi bets, and it allows you to cash in your bet early. What’s more, with Ladbrokes Australia you can also partially cash out your stake. So, if you are sweating on the 7th leg of a 7 selection multi, don’t worry. With Ladbrokes Australia you can bank some profit before the race or match even starts! For punters who concentrate mainly on horse racing, one of Australia’s most popular sports, Ladbrokes Australia is well worth checking out. As we outlined above, their odds may not be the best around but they more than make up for that with a huge amount of horse racing specials for existing customers, including protest pay-outs and best Tote or SP price guaranteed on all metropolitan meetings. All the usual betting methods are offered by Ladbrokes Australia, including win, place, each way and racing multis. If forecasts, trifectas or quinellas are more your thing, Ladbrokes Australia can cater for your needs. They also offer ‘Top Fluctuation’ betting, which will secure you the very best price available across the three main Australian Totes in the 30 minutes before the race begins. Ladbrokes Australia offer in play odds, but you must use the phone to bet in running. Ladbrokes Australia cover all the best domestic action, including offering very early odds on the race that stops a nation, The Melbourne Cup. If you prefer to bet on horse racing on a different continent, you can access markets on British, Irish, American and other big international meetings too (including the Meydan Carnival). 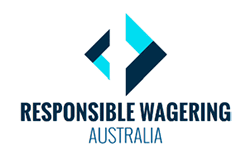 Regulations do not allow bookmakers in Australia to offer in play betting online. However, Ladbrokes Australia have found a clever way to get around those rules. Their very useful ‘Call Me’ feature is the tool to use if you want to place an in running bet on any sport. To find out how to avail of this service read our step by step guide below. 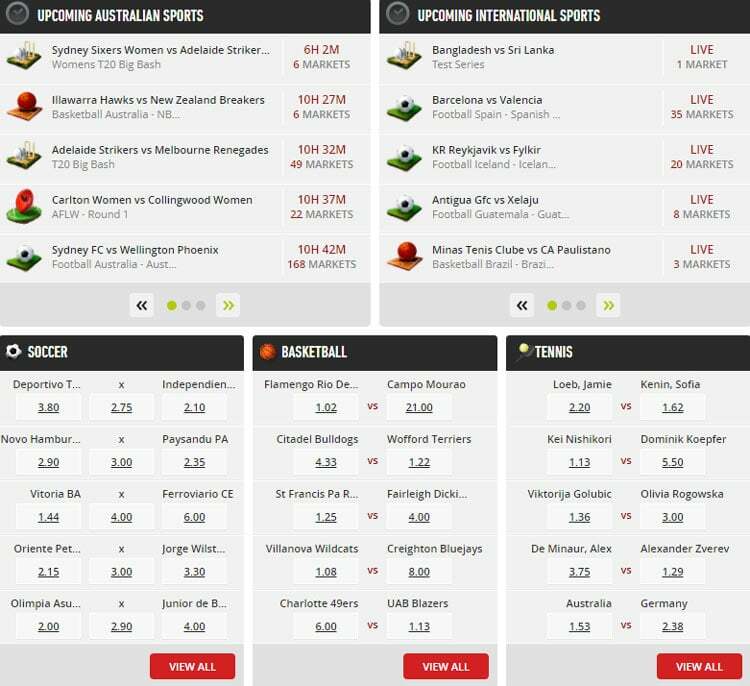 Head to the live betting section of the site and make a selection. Click on the ‘Call me now’ button. A member of the Ladbrokes Australia Live Betting team will phone you. Instant Deposit Methods: Credit Card, Ladbrokes Card, PayPal, POLi, CASH IN, Flexepin. When considering which is the best bookmaker for you, banking facilities should always be thought about. Ladbrokes Australia offer a wide range of methods with which to either deposit or withdraw your winnings. The instant deposit methods include Credit Cards, Ladbrokes Card, PayPal, POLi, Cash In and Flexepin. Non instant methods include bank transfers and BPAY. When you are withdrawing money from your account most of the above methods can be used except for credit cards. The only way to instantly withdraw money is via the very useful Ladbrokes Card. Withdrawals via bank transfer and PayPal can take 2/3 days. You must verify your account before making any withdrawals, and you can find out how to do that below. One of the best things about Ladbrokes Australia is the ease with which you can verify your account. Most Aussie bookmakers will ask for certain information so that they meet with KYC (Know your Customer) and AML (Anti money laundering) processes and policies – these ultimately keep you sage when betting at the best online betting sites. Open your account with Ladbrokes Australia by clicking here. Ladbrokes Australia will first try to verify your account electronically. *Other win/bet limits may apply please check Ladbrokes Australia Terms and Conditions. As is the case with any business, providing high quality customer service should be a top priority. Unfortunately, Ladbrokes Australia’s customer service is lacking in some areas when compared to their main industry rivals. They prefer customers to get in touch via email, and they promise to respond within 48 hours. For more pressing matters you can contact them via telephone between 8am and 11pm (QLD time). All contact details can be found below, or by clicking the ‘Contact Us’ button on the Ladbrokes Australia website. Telephone: 1300 523 276 OR +61 7 3350 0782 9international). As we explained earlier in this review, Ladbrokes are a company that has been an industry leader for almost 50 years in Europe. During that time they have cultivated an excellent reputation, and in their short time in Australia they have done the same. You can rest assured that they will honour your bets, and your money is safe with them too. When you open an account with a betting company you have to part with a lot of sensitive personal information. This includes your name, address, phone number and bank details, so it is important to know that this info will be kept safe. Ladbrokes Australia takes a lot of precautions against fraud, and below we list some of their key safety measures. Transmissions sent to or from Ladbrokes Australia’s website/s are routinely monitored for quality control and systems administration. Another area where Ladbrokes Australia excels is their approach to advocating responsible gambling. Betting should always be enjoyable and is something to be enjoyed in moderation. If you, or someone you love, is letting their gambling adversely effect their life then Ladbrokes Australia have lots of measures in place to help. These include deposit limits, temporary or permanent self exclusion, promoting responsible gambling, training staff to spot and help irresponsible gamblers and providing links to gambling related support services. Ladbrokes Australia aims to ‘minimise the extent of gambling related harm to individuals and the broader community’. As their responsible gambling resources show, they are doing their best to live up to their aim. 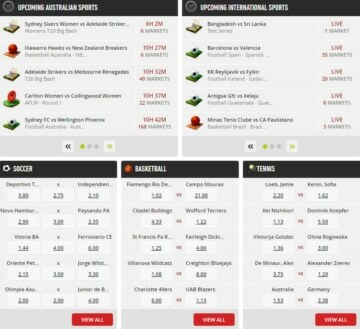 So, to sum up, Ladbrokes Australia is a bookie with a lot of positive attributes, as well as a few negative ones. Firstly, there are some areas in which Ladbrokes Australia are clearly lacking. These include customer service, the generosity of odds on offer and their rather modest win limits on horse racing. Some of the best things about Ladbrokes are how they reciprocate trust and loyalty, their admirable approach to responsible gambling and the wide range of banking facilities they have available. 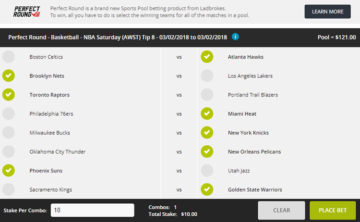 Ladbrokes have forged a reputation as one of the world’s best bookies, and their Australian product is up there with the best of them. Here at Aussiebet we think they are a rock solid choice.